Another Very Valuable Gift from Airwheel to Consumers—Airwheel A3 Sitting-posture Scooters. Abstract: Airwheel has always pursued a user-oriented enterprise-philosophy. It offers consumers the best products and services and gains praise and fames from consumers. Recently, Airwheel introduced another valuable gifts to consumers—Airwheel A3 sitting-posture scooters. Airwheel always takes consumers’ benefits at the first consideration. So it brought people with many amazing products which have high performance-price ratio. The top-quality yet low-price Airwheel electric scooters have won praises from consumers. 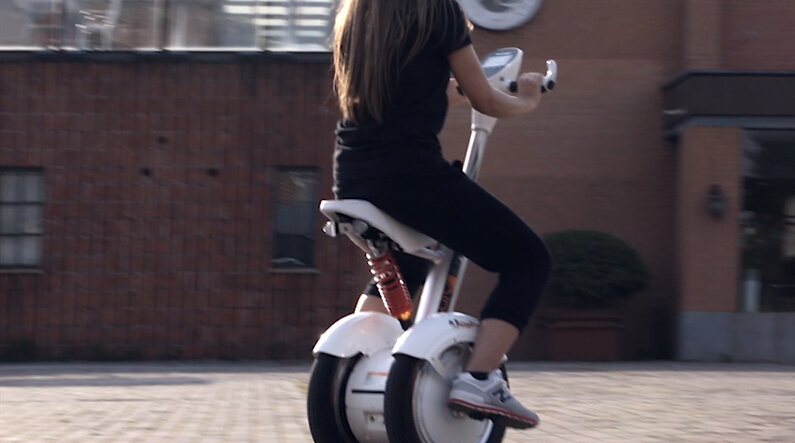 Now, Airwheel offers another valuable gift to consumers—Airwheel A3 sitting-posture scooters. This is a gift showing people the Airwheel that never changed. Airwheel provides us with another model of top-quality products. Both the vehicle units and built-in operating system are the same as previous Airwheel electric scooters. The light and durable vehicle frame made of alloy reduces the total weight of Airwheel A3, which in turn contributes to a long range. The 4-inch wide display screen on the control shaft displays the real-time parameters of the vehicle. The noise-free maglev motor are powerful yet efficient to provide people with fast and long-time riding experience. The same built-in intelligent operating system has quick response and comprehensive protection functions including over-discharge protection, short circuit protection and so on. The top-quality hardware and software guarantees the performances of Airwheel A3. This is also a gift showing people that Airwheel dare to make bold changes. The electric self-balancing scooters have come to a bottleneck state. New models of electric scooters generally have similar performances and designs. But this time Airwheel brought us the innovative new products of Airwheel A series sitting-posture scooters. The innovative and bold exploitation of installing a seat on the vehicle comes from Airwheel’s consideration of offering more comfort to consumers. For a more intelligent riding experiences, Airwheel developed the exclusive smart phone APP for Airwheel A3. With this smart APP, users are able to turn on the modules on the vehicles like GPS lights and so on. Also accompanying the GPS module, the location of the vehicle can be demonstrated in real time on the screen of the phone. People will never lose the locations of their vehicles. This is Airwheel A3 sitting-posture intelligent scooters: a valuable gift that inherits and breaks through at the same time. Previous：Why Airwheel Electric Scooters Have Been Popular Among Consumers for Such a Long Time? Next：Which One is the Best Choice? Airwheel A3 Intelligent Scooters or the Others?